EVENT Cinemas Indooroopilly will be showing Tchaikovsky's final full-length opera The Queen of Spades on the big screen this February. Based on a short story by poet Alexander Pushkin, The Queen of Spades follows Gherman, a soldier torn between love and a destructive fixation with gambling. 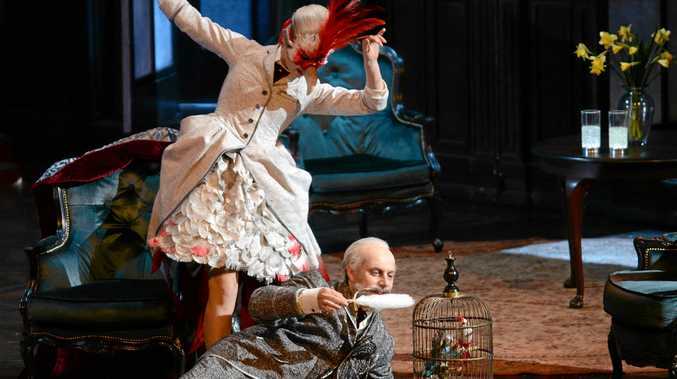 The opera is set in 1890 exploring madness, obsessive passions and the supernatural, with the characters giving voice to Tchaikovsky's own unfulfilled desires. The screening is part of the Royal Opera House 2018/19 Live Cinema Season that brings the best of London's Royal Opera House to Australian audiences. The Royal Opera House in London's Covent Garden will present 10 performances of world-class opera and ballet to cinemas across Australia. The Queen of Spades will be shown at Indooroopilly on February 16, 17 and 20. All Wednesday sessions at Event Cinemas will include a complimentary morning tea. Tickets cost $20 for adults, $18 for concessions or a $102 for a multi pass to six titles. For tickets and details visit www.eventcinemas.com. au/roh.